A new headquarters is to go on a site that includes the old Sears building. The historic Sears building on the Admiral Wilson Boulevard. It was unclear whether Campbell's would plan to raze the structure. Gov. Corzine will join officials of the Campbell Soup Co. today in announcing that the soup company will build a new $72 million world headquarters on land that includes the historic Sears building on Admiral Wilson Boulevard. Campbell's, Camden's last Fortune 500 company and a name linked to the city for 138 years, plans a sprawling, 80,000-square-foot office complex that will harden its deep roots in the struggling city. Mark Willis, who owned the landmark Sears tower until a few years ago, said he has been told the new Campbell's complex will be built on 26 acres that includes the historic structure and old Canal Liquor store parking lot. It's unclear whether Campbell intends to raze the Sears building. Theodore Z. Davis, Camden's state-appointed acting chief operating officer, authorized an agreement yesterday at City Council that allows Campbell's to move forward with the project. He shrugged off the threat to the Sears building, saying, "You're telling me something I didn't even know." Willis said the governor's office told him the soup headquarters would cost $72 million to build and an additional $12 million for land acquisition. Construction would begin in May and be completed in November 2008. Willis, a Camden real estate investor, said he had fallen in love with the old Sears building. The beaux arts-style building, built 1927, was added to the National Register of Historic Places in 2000. "They'll tear it down over my dead body," said Willis. 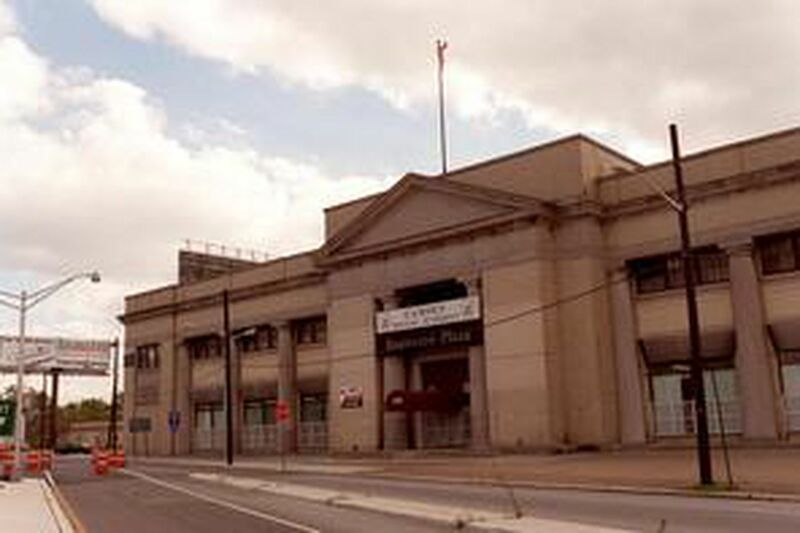 He and other preservationists blocked government efforts to tear down the building before the Republican National Convention in 2000, when then-Gov. Christie Whitman's administration led a cleanup of Admiral Wilson Boulevard. Campbell's officials wouldn't comment on today's announcement. The company issued a statement yesterday that said Corzine, Camden Mayor Gwendolyn Faison, and Campbell's president Douglas R. Conant "will unveil the company's plans and discuss its future in Camden" at a news conference today. Campbell's, founded 1869 in Camden, employs about 1,100 people in its headquarters in the city and remains one of South Jersey's biggest employers. Soup-making jobs long ago moved to the company's other factories.